Hedges, Andrew H., “Cumorah and the Limited Mesoamerican Theory,” Religious Educator 10/2 (2009): 111-134. Roper, Matthew P., “Plausibility, Probability, and the Cumorah Question,” Religious Educator 10/2 (2009): 135-158. Hedges, Andrew H., “Problems with Probability: A Response,” Religious Educator 10/2 (2009): 159-162. I recently stumbled upon an exchange between Andrew H. Hedges and Matthew Roper on the question of where Cumorah is. Hedges does not argue for a specific location, but argues that it could theoretically be anywhere – even thousands of miles from the center of Nephite activity – and that the hill in upstate New York satisfactorily meets the textual requirements, and therefore should not be ruled out as a possibility. Roper, of course, argues that the Hill Cumorah was most likely near the narrow neck, probably in southern Mexico. The reader can view the exchange for themselves. My intent here is to respond to Hedges final arguments, which are brief and obviously not meant to be definitive. Nonetheless, I think Hedges makes some serious mistakes in his short response to Roper. There are three topics I’d like to touch on: requirements, probabilities, and possibilities. Again, Hedges big push is merely for possibilities. Roper argues, rightly, in my opinion, that mere possibilities are not enough. But Hedges insists that this is a concession because the argument from the LGT supporters has long been that the text “requires” it. Hedges says, “it should be pointed out that the idea that the text required a limited geography has been central to the limited Mesoamerican thesis and has been a large part of the reason why this thesis has enjoyed such popularity over the years. Any concession on this point is hardly inconsequential.” (p. 159) I was sincerely enlightened by Hedges arguments in the initial piece, which challenged many of my own assumptions and added some new ideas to consider; but Hedges, I think, has missed an important consideration here. That is this: correlating a text to the real world involves a number of considerations that create limitations. So long as we are looking at just the text, we can hypothesize any kind of possibility. But if we are going to think of the text as an actual history, then when the text says a group of people (consisting of men, women, and children) with livestock traveled X number of days from point A to B, then we have to base our estimates of that distance based on how far real people – in comparable groups, and traveling over comparable terrain, in a comparable climate – actually travel in that many days. Does this require that we make certain assumptions? Yeah, it does. But those are assumptions are both necessary and grounded in reality. While Hedges does bring some real world data to the table that he feels supports his thesis, he ignores a number of other real world considerations. Roper does a good job bring those considerations to the forefront, and also effectively (in my view) argues that the scenarios Hedges tries to use are different in important ways from the Book of Mormon account, and those differences make them non-analogous to the final battles in the Book of Mormon. Roper also adds textual details that Hedges neglected in his analysis. So, in short, yes, the text does require a limited geography, and that the hill Cumorah be near the narrow neck. At least, so long as we are going to consider the Book of Mormon as real history it does. Hedges seems to have confused the “most probable” scenario as being a “highly probable” scenario. What Hedges seems to have misunderstood about statistics is that any possible scenario that can be proposed – including the scenario he constructs – is dependent on a “long chain of probabilities,” which are going to result, when added up (or, more correctly, multiplied together), in seemingly ridiculously improbable numbers. (This is the same fallacy that many evolution opponents tend to commit.) Therefore, the most probable scenario may not have an especially high probability; it simply has a higher probability than all the other scenarios it is competing with. In the case of the location of the hill Cumorah, I personally think the scenario proposed by Roper, Sorenson, Palmer, Sperry, and others is of a substantially higher probability than what Hedges has suggested as a possibility. Hedges makes an important point in stating that we are not really dealing with quantifiable probabilities, and we have very little data to work with. If Hedges is right, however, then there is some major factor that we simply are not aware of, because the most reasonable, and practical conclusion (as Roper demonstrates) is that the Nephites wouldn’t march all that far to get themselves destroyed. Okay, but the problem here is that in exploring all the possibilities, how do we weigh and evaluate them in an effort to find the right answer without turning to probabilities? You see, probability is simply a tool for parsing through the various possibilities. It seems to me that Sorenson, Roper, etc. have already done exactly what Hedges is suggesting – evaluated possibilities from the text based on considerations from the real world. In so doing, they utilized logical inferences to construct the probabilities of each possibility. From there, I would argue, they found that the text virtually requires that the final battles play out within a few hundred miles of the heartland of Nephite and Jaredite history. They have all advanced to level two while Hedges is still stuck on level one. Being behind a level, Hedges wonders why no one is playing the game the same way he is. Let me just say that I do not fault – and in fact, I applaud – Hedges for setting out to review, and even challenge, the assumptions that undergird the LGT. While I have not changed my own opinion, I better understand (and I think I can now better articulate) my view of Book of Mormon geography. What’s more, having reconsidered my own assumptions, I better know why I think the way I do on the matter. It is important, I think, that such assumptions be examined from time to time in light of new information. Still, I think Hedges missed important considerations, as Roper pointed out. Furthermore, his critique of probability seems misguided and his proposed methodology is lacking, to say the least. In the end, a limited geography reading of the text, with the final battles taking place near the narrow neck, remains not only the best reading, but essentially the only viable reading in light of the real world. Now, where the limited location was is a debate for another time, though I think I’ve made it clear in previous posts where I stand on that matter. Neal: An excellent article and astute observation of the absurdity of the application of philosophy and statistics to Book of Mormon geography. If we believe the BofM then we believe in the historicity of the Lehites. Historicity requires that they lived somewhere on the American continent. Historicity requires that they, given the numbers called for in the BofM, left an impact and a legend corpus. Most readers of the book fail to grasp the many geographic clues. They skip over the battles and the travels and come away with only the sermons and ecclesiastical forays. 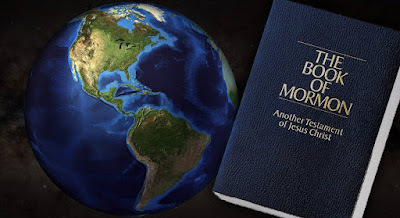 They fail to see that the book gives us enough clues that must be met by any proposed geographical model, that to propose, for instance, that the Nephites/Lamanites travelled thousands of miles to duke it out, through unknown terrain, unknown hostiles, unknown weather cannot be considered a possibility or a probability. My 14th article of faith: "We believe in using common sense."